Summer's nearly over but it's still a glorious time of year to go walking across the South Downs, and if you have a dog, well, so much the better, especially if you take in a pub lunch on the way. Sussex resident Kate Bendix's website myitchydog has all the answers for the devoted dog-lover, plus here she shares her favourite pub-with-pooch stops across and around the South Downs and Brighton. Burpham is a tiny village tucked away on the South Downs overlooking Arundel and the Arun valley, and you can do a wonderful 4 ½ mile walk from the village hall (just behind the pub) and through the valley, along the winding river Arun, past fields that are cultivated to attract wildlife then up on to the Downs for spectacular views of Arundel castle. You can't get lost: the route is mapped out on a poster at the entrance to the car park and is in any case well signposted. By the time you get back to the pub you should have a healthy appetite and the good thing about the George & Dragon is that it serves up British rustic cooking and delicious Sunday lunches and local ales. If you’ve got a dog you’ll be eating in the bar but the food is the same as in the restaurant. I’ve eaten here a few times and highly recommend the Sunday lunch. East Dean sits in the Upper Lavant Valley northeast of Goodwood. It can feel quite remote making it a great place to get away from it all for a while. Before lunch, you can do a two-mile stomp up to Crown Tegleaze, one of the highest points on the South Downs Way. Or head south, through Chiseldown, East Dean Park and Charlton Park. When you’re ready to eat, dogs are welcome everywhere at the Star & Garter (there’s even a hitching post for your horse). Sit in front of a roaring fire and enjoy the house special ‘toad in the horse’ and a pint of the local brew. A couple of miles west of Worthing in West Sussex, Ferring is home to a quiet beach that is perfect for giving the dog a good run and blowing the cobwebs away. And guess what? Five minutes from the beach you’ll find the Tudor Close pub, which serves local, homemade food, including – my favourite – fantastic chicken, ham and leek pie. 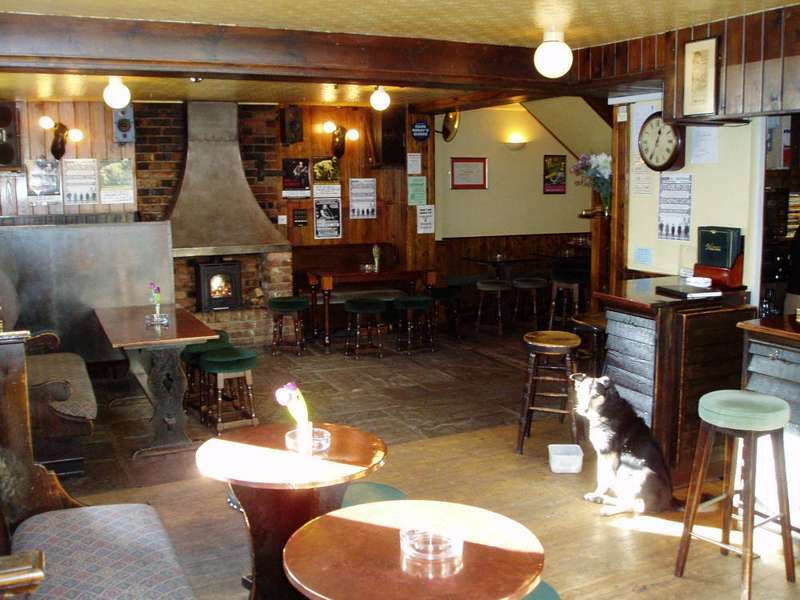 Dogs are welcome at the bar and in one of the restaurants. Hanover is basically a very steep hill running east of the Level in Brighton and tightly packed with small Victorian houses. As a result it’s got a great community feel to it. If you fancy a wander before lunch try Queens Park, a ten minute walk from the Greys, well planted with trees and shrubs and a scented garden. The Greys is a real local pub, famous for its exceptional food (especially Sunday lunches), Belgian beers and friendly service. Dogs on leads are welcome. The Connaught sits to the west of Hove’s main drag in a quieter part of town. It’s a couple of minutes from the western part of Hove seafront so it’s less popular and there are no restrictions on dogs being on the beach. So skim a few stones or take a slow stroll before heading back to the Connaught for lunch or dinner. Dogs are welcome in the bar where you can eat fresh, local, organic and delicious food.